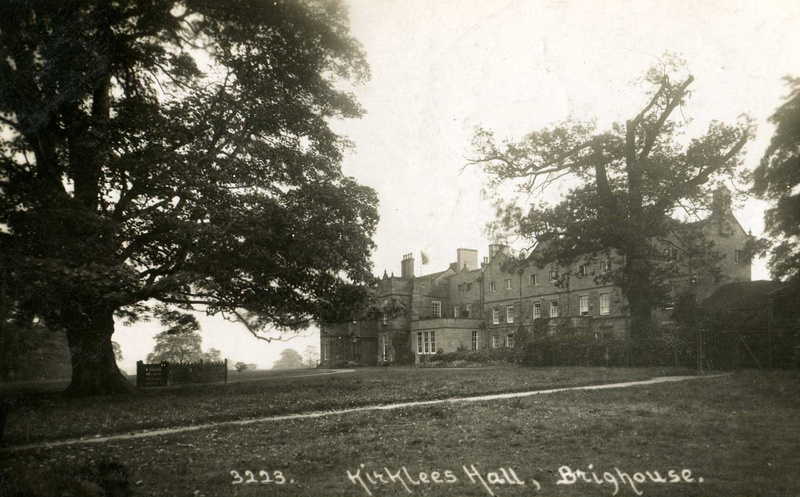 “Hal” was a generic term in days gone-by for an individual with learning disabilities and sometime in the early 18th Century, Sir George Armytage of Kirklees Hall befriended just such a person and gave him a position at the hall as a jester, for despite his affliction he was said to possess a sharp wit. It is sometimes said that his surname was Pierson and sometimes Wormald but both local historians J. Horsfall Turner and H.N. Pobjoy seem satisfied that he was a historical figure, living sometime around 1730. Despite the patronage of Sir George, many of the other servants at the Hall would frequently torment Hal with a variety of practical jokes. On one occasion Robbie the estate carpenter told Hal that if he placed a half-crown in a hole, it would magically multiply. The jester complied and later, Robbie sneaked back and exchanged the coin for coppers, knowing Hal did not grasp the relative value of different coins. Hence Robbie’s victim was initially pleased with the outcome but when Hal discovered he’d been tricked, he swore he would get his revenge. For a while Hal contented himself with hiding Robbie’s tools but one evening when the carpenter failed to turn up for dinner, people noticed that Hal seemed unusually pleased with himself. When questioned, he claimed to have hidden Robbie’s head under the wood shavings, “and when he wakens he’ll be troubled to find it!” The shocked servants rushed to the workshop and sure enough, discovered a decapitated body with its head concealed beneath a pile of shavings. Still failing to understand that he had killed Robbie, Hal attempted to reattach them. Hal was tried for murder at York but was acquitted on the grounds of “weak-mindedness” and returned to the care of Sir George. However, finally cognisant of what he had done, Hal was never the same again. He was often found weeping by the beck and refused to go near the carpenter’s shop or touch an edged tool. The guilt of the experience prematurely aged him and he supposedly died a grey-haired man aged only thirty. However, his memory was kept alive in the phrase “worse than Hal of Kirklees” which for many years was a popular local dismissal for foolishness. Ah, the single poetic theme. This website is brilliant.